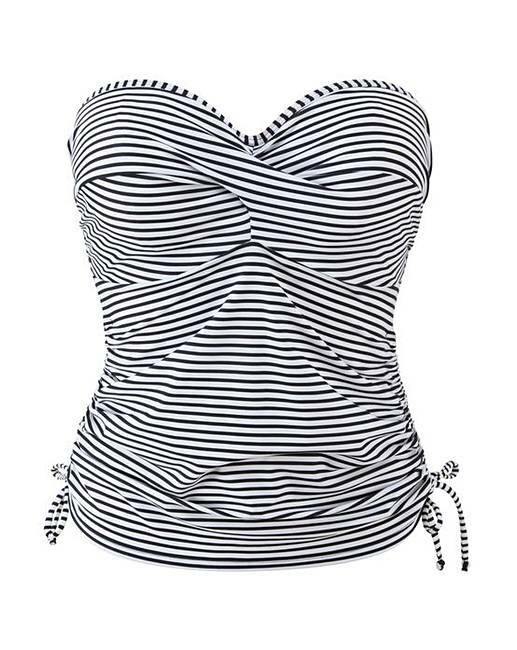 Panache Swim Anya Stripe Bandeau Tankini is rated 4.1 out of 5 by 8. Rated 2 out of 5 by nathsmum from sizing wrong Lovely to look at but the sizing is not right, the cup size doesn't match the rest of the garment, it's to tight a fit, Shame as it would look really nice on holiday. Rated 4 out of 5 by Winnie from overall good Good fit and support , lovely feeling fabric only down side were the straps - they kept fall off . 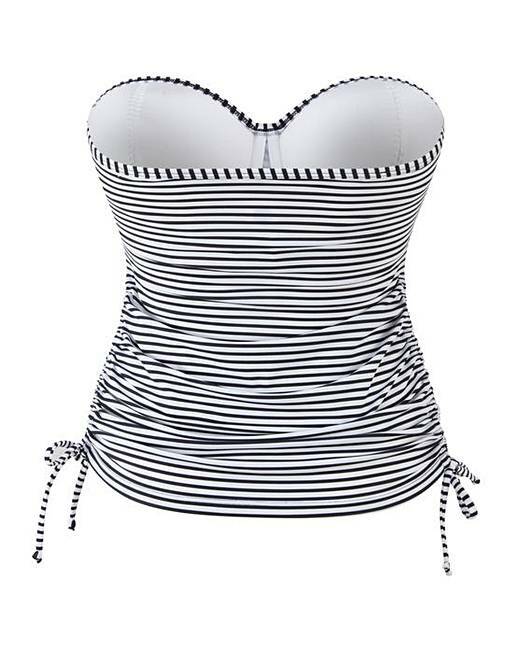 Rated 5 out of 5 by Salsa from Perfect fit; delighted Bought this a few weeks ago last minute holiday buy ,delighted fits well ,excellent inner bra felt secure enough to do aqua aerobics in on hols ,most importantly long enough to cover all those bits other tankinis fail to. Rated 4 out of 5 by LadyLinda from Great! Very stylish and nice although I had to re-order a couple to get the right size. Rated 5 out of 5 by Bigdor21 from Shape good I purchased this for my forthcoming holiday great top fits perfect to size. It has a bra like fitting inside the top so fits well. Can be worn with or without straps. I would just say it is only the top the pants are separate, but well worth the money.